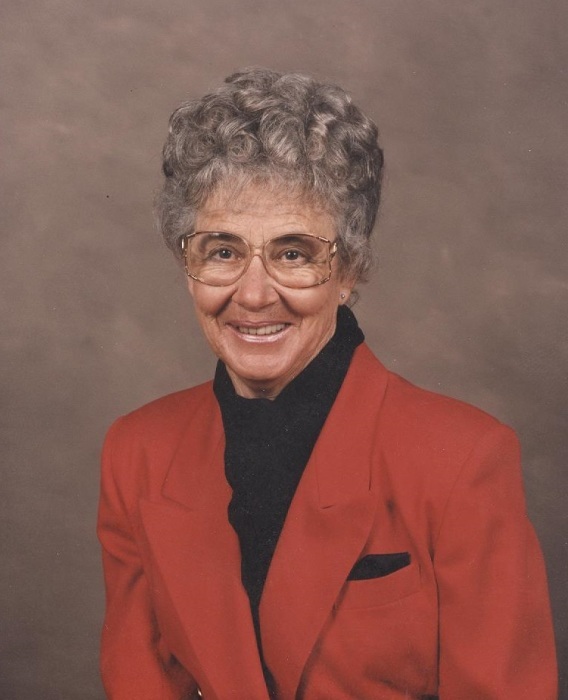 Patricia I. Cochran, 88, passed away peacefully in Sterling, CO on June 20th 2018. She was born on December 23, 1929 in Elkhart Kansas to Leslie Ulysses “Pete” and Cora (Orman) Harmon. She graduated high school from Kit Carson, CO in 1947, and was the band majorette. She attended Colorado Women’s College in Denver where she received her Associates Degree in Interior Decoration. She then attended Colorado A&M and received her degree in Animal Husbandry. After college in 1952, she married Richard Cochran and raised their three children while ranching. She began teaching at Platte Canyon near Bailey, Colorado and taught many subjects to Jr. High and High School students, including Spanish, English, and reading for 22 years. She especially enjoyed teaching students with special needs. In 1978, Pat divorced and moved to a ranch located in Goodland, KS. No one who met Pat could forget her tenacious spirit and passion for her ranch. Pat raised Limousine, Salair, and Wagu cattle as well as Sharpei dogs and pigs. After 27 years of hard work, she sold ranch in 2005. Pat is survived by her children Dr. Mark Lee Cochran of Sterling, CO; Sherry Haugen of Center, CO; Michael Cochran (Glenda) of Goodland, KS; sister Iris Harmon of Canon City, CO; and brother Forrest Harmon of Meeker CO; her grandchildren Cash (Jessie) Cochran; Weston (Alli); Shane (Sami); Jessica (Daniel); Hope, and many great-grandchildren.